No matter what type of flooring you are looking for, whether it’s a classic laminate engineered hardwood floor, you’ll find every everything you need at our store. 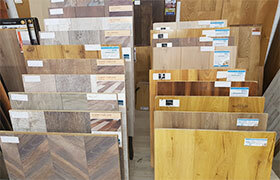 We supply and fit all types of floor coverings for types of properties. 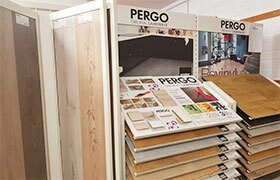 We stock and fit engineered and solid wood, laminate, vinyl’s, safety flooring, etc to suit your needs and requirements. 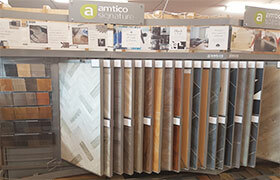 Our helpful staff are fully trained to answer all of your questions when choosing your flooring, and can advise on the best selection and ranges to meet your needs. Very popular Flooring option with many customers choosing this for its quick and easy installation and fantastic finish. We have a large selection to chosen such that comes in a variety of wood colors, tones and designs. Laminate floors are also more water, stain and scratch resistant when compared to hardwood floors. Hardwood can bring a natural warmth to your living space like no other type of floor. As well as transforming your room visually, it is also environmentally friendly and extremely hard wearing. 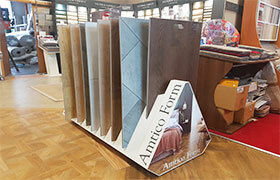 We supply and fit the most popular products such as Amtico. Affordable, easy to clean and ideal for busy homes. Vinyl is perfect for the bathroom, kitchen and conservatory. This is the best option for a bathroom flooring as it is anti slip, easy to clean and comes in range of attractive designs.